Well, "Gravity" is an awesome movie. And there is almost nothing to say about it. The bewitching, brilliant, and beguiling Stephanie Zacharek succintly reviewed "Inception" a few years back with this crackling passage: "...we've entered an era in which movies can no longer be great. They can only be awesome, which isn't nearly the same thing." 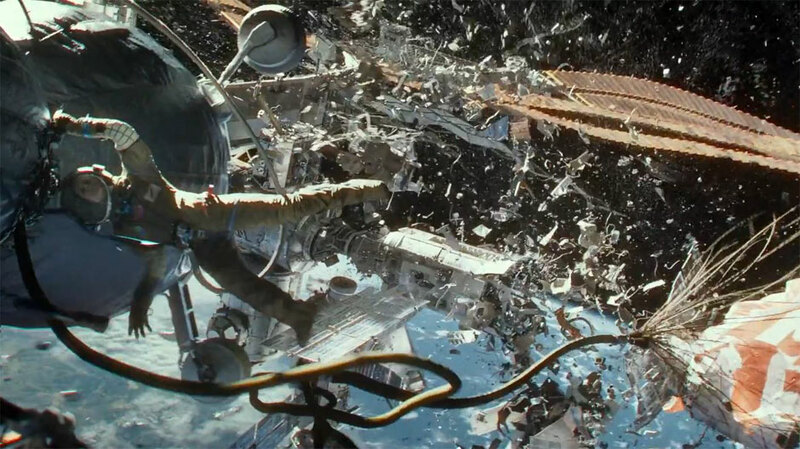 And make no mistake, Alfonso Cuaron's "Gravity" is awesome. Horrifying, even: it's the first film that, with it's 3D and special effects, accurately captures the immense, universal fear of outer space. You're immensely vulnerable to any sort of damage. You have no way to steady your floating body, you could easily run out of oxygen, or you can just drift off into the abyss. Cuaron's first tactic is the gauntlet-dropping quote, "Life in space is impossible." I wonder if we're supposed to take that quote for all its implications, though I suspect not. This is probably the most immersive, transporting 3D I have ever seen. You step out of the dark theater as if you are just leaving from a particularly nerve-wracking space flight. There are moments in "Gravity" where I didn't seem to realize doing fear acrobatics in my chair. For the first time in my entire life, I was so terrified at points that I lifted my hands to my face. You can't intellectualize these responses, they are different for everyone else, though I wouldn't be surprised if I wasn't the only one making an absolute fool of myself during this movie. "Children Of Men," Cuaron's last feature, was rapturously applauded in a similar way, and like many others, I was moved by the climactic action sequence. Except, walking out of that film, do you really remember anything about the lead character played by Clive Owen? Did you need to spend ANY more time with him? Were his motivations that compelling, his arc (from "calling in sick because malaise" to "SAVE THE BABY") that interesting? Did you even remember his name was Theo? Even with a brief reconciliation with an ex (Julianne Moore, luminous), it's hard to feel attached to him or his world, only to be fascinated by the possibility of hope in a future both overwhelmingly bleak and believable. "Gravity" is even skimpier, if that's to be believed. 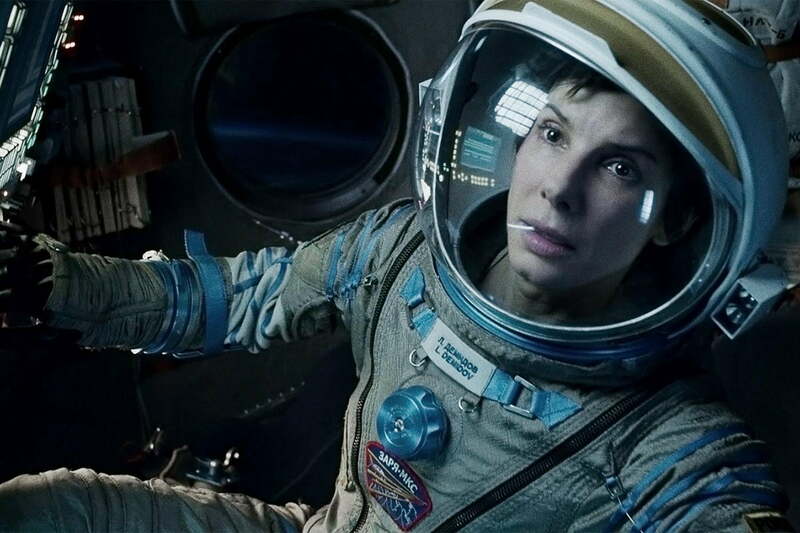 We spend no time on Earth with Sandra Bullock's Stone, beginning the movie already inside the vacuum in space. Instead, we're meant to feel not empathy but, something I think all blockbusters aspire to today, relatability. As I mentioned in my Frank Grillo piece, studios no longer seek lead characters anyone aspires to be, or admires (though Stone accomplishes much during the film's mercifully short runtime), but characters they can relate to. Her sexuality is plain, borderline androgynous. Her life on Earth seems unremarkable, absent of meaning. Her goal is simple and universal: she doesn't want to live, she wants to survive. Shifting from the first to the second in that equation is the closest this film comes to subtext. Steven Price contributes an appropriately "awesome" score that underlines the action while combining the techno-infused theatrics of the music from "Sunshine" and the Zimmer-like bombast of recent blockbusters. His score doesn't overshadow the action, mercifully. But you stop and think for a second... wouldn't this movie still be terrifying if there were no music overall? Or would the spell of Cuaron launching paper mache characters into the gaping maw of nothingness be broken? The soundtrack didn't seem like music as much as duct-taped musical synthesizers being hurled at the audience at strategic intervals. Thank you for this assessment of Gravity. At 98% on RT, it's going to take more than a few brave critics to warn audiences fairly of the severe lack of story and character in this film. Gravity is really awesome, wanna taste, also my hobby but it is difficult to get taste. fishing kayaks is another hobby.